During the nineteenth century, Alfred Russel Wallace was lionized as being among the greatest naturalist explorers and biologists. He was a widely published and acclaimed author of twenty-two books and hundreds of scientific papers, as well as being a pioneer in the study of biogeography—the geographical distribution of plants and animals. Sadly, during the following century, his reputation had been largely relegated to Charles Darwin’s understudy in the theory of evolution. Unlike Darwin, whose family inheritance permitted him to devote full-time effort to study and writing, Wallace was obliged to sell many of his collected biological specimens, give lectures, and write books to support his family. Having an early thirst for exploring the natural world, from 1848 to 1852 Wallace traveled to the Amazon rainforest and collected a wide array of specimens, which were lost in a ship fire on his return to England. In 1854 he again set sail, this time for the Malay Archipelago, where he was to remain for eight years studying hundreds of thousands of its animals and plants. This led him to independently embrace the concept of evolution through natural selection—far from mainstream thinking in the 1850s. While still in Malaysia, his paper on evolution was jointly presented with Darwin’s before a scientific audience in 1859. As he traveled throughout the Malay Archipelago, he noted that while the terrain and climate were similar, the distribution of animal species differed in the northwest and in the southeast. Animals in Sumatra and Java were more similar to those in Asia, while those in New Guinea bore similarity to the animals of Australia. 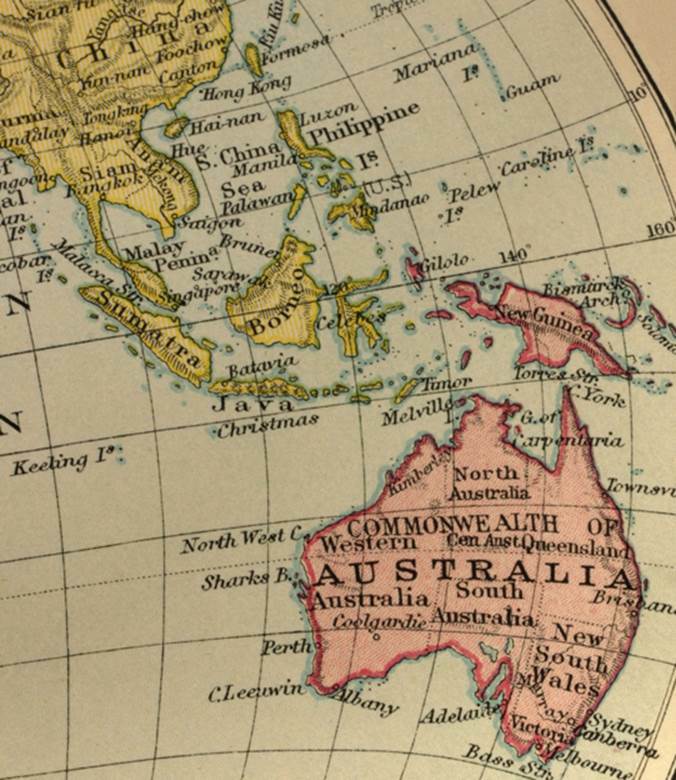 There was a clear boundary between the islands—later called the Wallace line—that separated the Oriental and Australian biogeographic regions. In 1874, he divided the world into six geographic regions based on their geography and their animal inhabitants, and these appeared in his 1876 classic Geographical Distribution of Animals. This work served as a virtual tour guidebook of animals and where they could be found. His 1880 book, Island Life, examined plant and animal species on three separate and distinct island types. SEE ALSO: Amazon Rainforest (c. 55 Million BCE), Darwin and the Voyages of the Beagle (1831), Darwin’s Theory of Natural Selection (1859). During the mid-1800s, Wallace traveled throughout the Malay Archipelago, an area shown on this century-old atlas map.